The siding on your home can change the look and feel of the home dramatically. Installing premium siding such as James Hardie siding on your home can not only make it look great but it can also increase the value of the home as well as increasing the curb appeal. There are many advantages of using James Hardie siding on your home but you’ll need to ensure that it’s installed only by a qualified siding contractor in Ann Arbor MI. 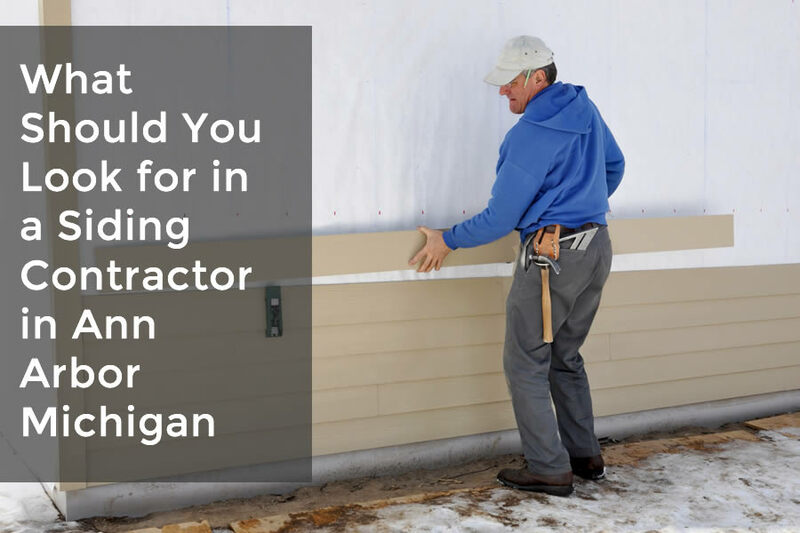 I’ve included some tips to make sure the siding that you get installed on your home is done correctly and that you’ve chosen the best siding contractor for your project. For the last few decades the siding industry has changed quite a bit. James Hardie siding is now one of the best siding choices for home owners and the benefits that go along with this siding can be huge. However, while there are many benefits to having this siding on your home there are also many problems that can arise if the siding is correctly installed. This type of siding has really become popular over the past decade or so and sometimes installers don’t follow manufacturers guidelines when installing the siding. Make sure you use a qualified siding contractor in Ann Arbor Michigan for your home. There are many accidents and problems that can happen with any type of home improvement project. Having a contractor who is properly licensed and insured can help to alleviate much of the worry that you may have if something were to happen. Do you really want to be responsible for an accident that occurs at your home that you may not any thing to do with? Chances are, that if you don’t use properly qualified and insured contractors you may be held liable for the damages. Make sure that you ask any contractor you plan on using for a home improvement project if they are properly licensed and insured. Do They Use Real James Hardie Products? The type of siding that is called James Hardie siding is actually a fiber cement siding. There are many different brands of fiber cement siding and some are not as durable, have the same warranties, and more. When you speak with a contractor and get estimates for the siding be sure to ask about the brand of siding and any associated products that will be used on the project. You’ll also want to find a contractor who can give you options when it comes to your siding. Sometimes, the siding on your home can be left in place and the new siding installed. However, there are drawbacks to these methods even if they seem more economical. Be sure to speak with the contractor about removing the old siding and the price difference if any for doing so. Are you ready to get started on a siding project for your Ann Arbor Michigan home? Be sure to call one of the best siding contractors in southeast Michigan which is All Point Construction at 734-407-7110. They are fully licensed and insured contractor and offers free consultations on your home improvement project.